Fine looking lighthouse !! Would have a good view from up there !! Nice composition ! 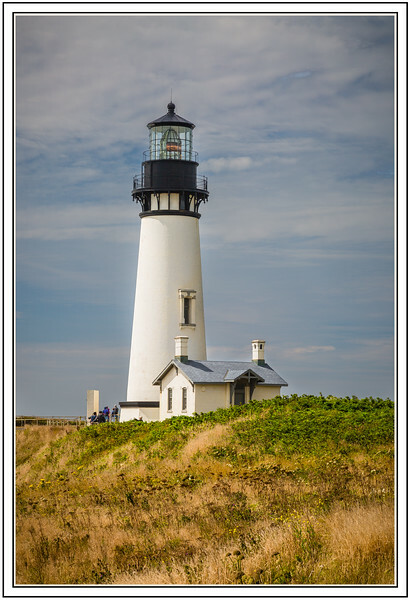 I don't recall seeing this lighthouse when we were on our Washington/Oregon trip several years back. This is a super POV and a great shot. You mentioned that Gold King Mine was in your neck of the woods. That shot was probably 5 years ago I think, and we tried to get together then, but couldn't sync up. We're yearning for another Utah/Arizona trip so maybe we can have lunch or dinner whenever we get that scheduled. Great old lighthouse, good composition! Awesome shot of the Lighthouse. Nice composition. Nice to see the lighthouse without fog surrounding it! I think it wasn't until my third trip there in 4 days before I saw it without fog. Very nice shot.